Can love withstand the accusation of murder? Can you truly trust a person who has been accused of taking someone’s life? Author Lorie Langdon, co-author of the popular Doon series, examines this idea in her new YA mystery thriller, Gilt Hollow. The story follows eighteen-year-olds Willow Lamont and her friend, Ashton Keller, who was recently released after serving four years in juvenile prison. With Ashton’s return, Willow must struggle with her lingering affections, as well as her hopes he is as innocent as he claims. "Killer Keller"—that's what everyone whispers behind Ashton Keller's back as he tries to assimilate back into the life he left behind when he was convicted of murder and sent to juvenile prison. His now ex-girlfriend Willow has also been stamped with shame because she never believed Ashton was guilty. Through miscommunication and the well-meaning interference of others, Willow and Ashton's relationship has become strained. Over time, they speak, and Ashton finally tells Willow the whole story about the murder, claiming he is innocent. Willow wants to believe what Ashton says is true, but when a string of crimes begins in the wake of Ashton’s arrival, she isn’t sure she can risk another broken heart. Both Ashton and Willow work to discover the real criminal in their midst—but as the police close in, time could be running out. Lorie Langdon is one half of the author team that writes the best-selling DOON series, a young adult reimagining of the musical Brigadoon. A few years ago, she left her corporate career to satisfy the voices in her head. Now she spends her days tucked into her office, Havanese puppy by her side, working to translate her effusive imagination into the written word. Lorie has been interviewed on Entertainment Weekly.com and several NPR radio programs, including Lisa Loeb’s national Kid Lit show. The DOON series has been featured on such high profile sites as USAToday.com, Hypable.com, and BroadwayWorld.com. 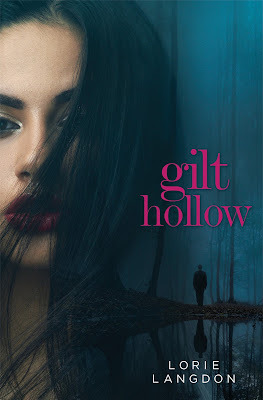 Lorie’s solo debut, GILT HOLLOW, a YA romantic thriller, releases September 27th 2016. GILT HOLLOW was recently named by Redbook Magazine as one of the "Books By Women You Must Read This Fall."